Hot summer nights call for cool and refreshing meals, ones that don’t require the turning on off ovens or stoves. Chilled soups are the perfect way to tame the heat this easy recipe will make you feel as cool as a cucumber in now time. We found the recipe in our favorite Spanish cookbook, 1080 Recipes, and adapted it ever so slightly. We like to drizzle a bit of good quality, fruity olive oil over the top for added flavor. 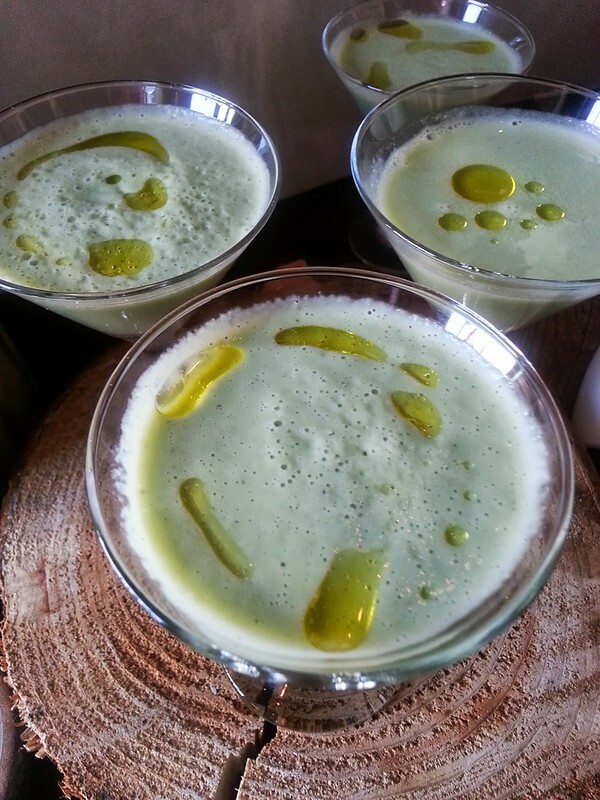 Enjoy it as a meal or serve it up in martini glasses for brunch or an outdoor luncheon. Best of all, this easy soup takes just minutes to make. All you need is your blender! Peel two of the cucumbers and coarsely dice all of them. 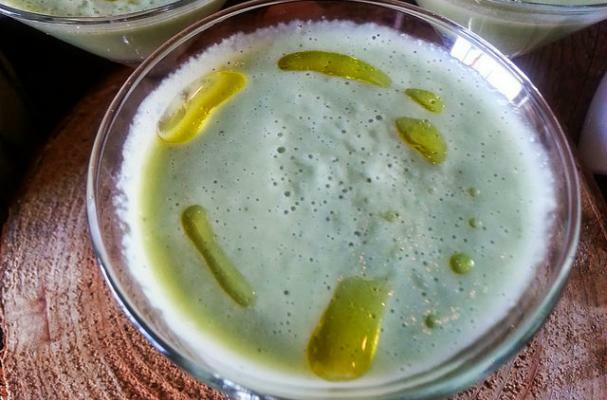 Put the cucumber, yogurt, garlic, vinegar and mint sprigs into a food processor or blender and process until smooth. Pour the soup into a ceramic or glass bowl and gradually add the cream. Season to taste with salt and pepper. Cover and chill in the refrigerator until ready to serve. Serve chilled with freshly chopped mint and/or a drizzle of a good quality olive oil.